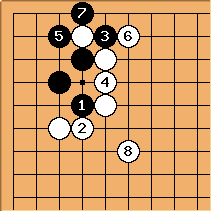 "After White plays the marked stone, how can Black break out into the center?" 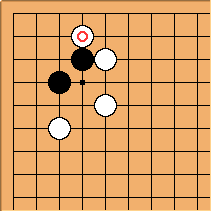 This is the given solution. 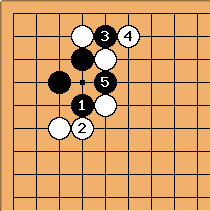 However, if White plays 4 at 5 it seems Black has no answer. This is what I end up with. Any ideas?